Six NATO warships arrived in the Black Sea on Wednesday to take part in exercises with the Bulgarian, Romanian and Turkish navies, the Alliance’s Maritime Command (MARCOM) said in a statement. The six vessels in the exercises are assigned to Standing NATO Maritime Group Two (SNMG2), which is headed by US Rear Admiral Brad Williamson. SNMG2 currently consists of flagship US cruiser guided missile, the USS Vicksburg, as well as Canada’s HMCS Fredericton, Turkey’s TCG Turgutreis, FGS Spessart of Germany, Italian frigate ITS Aliseo and ROS Regina Maria of the US. 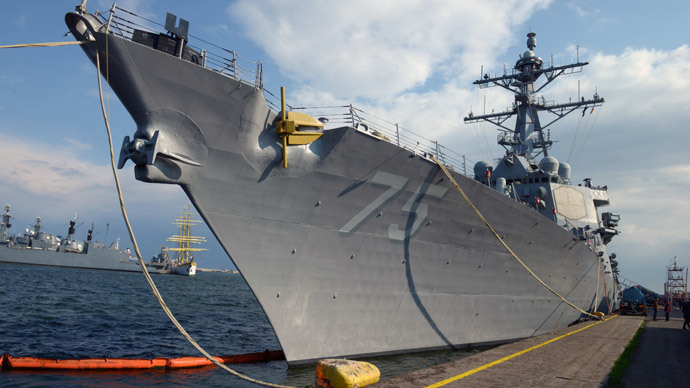 “The training and exercises we will conduct with our Allies in the Black Sea prepares us to undertake any mission NATO might require to meet its obligations for collective defense,” Williamson is cited as saying by the MARCOM’s website. “We are here at the invitation of the Turkish, Bulgarian and Romanian governments and look forward to enhancing our interoperability with their navies,” the Rear Admiral added. The drill will include simulated anti-air and anti-submarine warfare exercises, simulated small boat attacks and basic ship handling maneuvers. The deployment of NATO vessels in the Black Sea is a scheduled visit, conducted “in full compliance with international conventions,” MARCOM stressed. The group is expected to leave the Black Sea and make its way back to the Mediterranean later in March, it added. 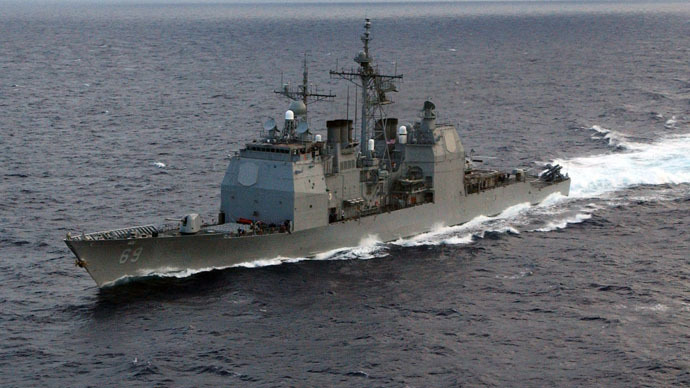 "NATO regularly deploys ships to the Black Sea for maritime awareness and training. This scheduled deployment, given Russia's continued assertiveness, carries an additional message of reassurance to allies in the region," a NATO official told Reuters. Previously, Russia’s envoy to NATO, Aleksandr Grushko, said Moscow will take “necessary countermeasures” in response to the Alliance’s increased presence in the Black Sea, which washes the shores of Russia, Ukraine, Turkey and several other countries. NATO sent additional ships to the Black Sea after Russia’s reunification with the Republic of Crimea in March last year and the beginning of military conflict in April same year. The USS Vella Gulf, USS Ross, USS Truxton, and USS Taylor – as well as warships from other NATO member states – were spotted in the area. In July 2014, NATO deployed a total of nine vessels to the Back Sea, setting a record in the post-Soviet period.